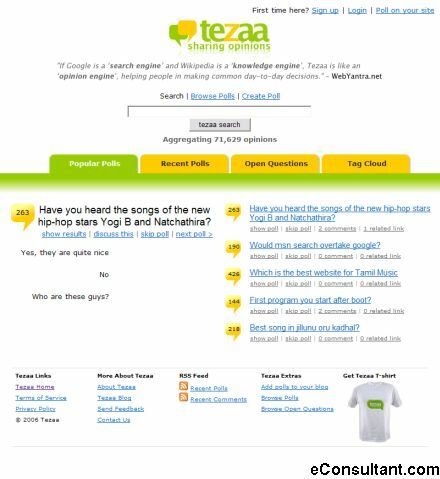 Description : Tezaa is an online community that is driven by polls. Any member can create, modify and participate in a poll. It aggregates public perception and opinions allowing everyone to benefit from information sharing.